Today on the Doc On The Run podcast we’re speaking with Brad Beer, legendary physical therapist and Amazon best-selling author of “You Can Run Pain Free! A physio’s 5 step guide to enjoying injury-free and faster running”. Dr. Segler: In this episode you’re going to learn about Brad’s approach to decreasing overused injuries that plague endurance runners and long-distance triathletes. The simple fact is that many physicians here in the United States completely ignore hip stability and core strength as a primary contributor to these types of injuries. I know, because I lecture to them at medical conferences and when we discuss this idea, their eyes all seem to go blank. But Brad has actually written an entire book that incorporates a far more holistic approach that is typically offered by physicians the United States. One of the core principles in his book is that hip stability or core weakness can drive stressors further down the chain and lead to the common types of over training injuries that affect many endurance athletes. So I am super excited to have Brad join us on the podcast today. 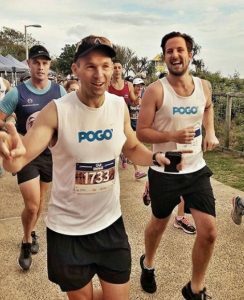 Not only is he a physio guru, he’s a real runner himself. I have no doubt that everyone listening to this can benefit the five-step process that Brad teaches to help people run injury free. Brad, welcome. Brad Beer: Doctor Chris, thank you very much for the invitation to join here! Dr. Segler: I’m really glad to have you here to share your insights! I understand that in Australia you’re highly sought after as a physical therapist. 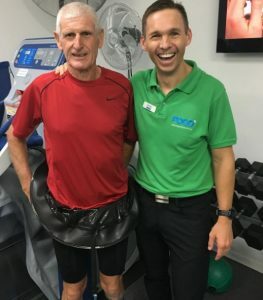 You treat many elite athletes in Australia but we also know that you have something in terms of knowledge that makes runners want to listen to you. That of course is that you’re actually a runner. So before we get started and the specifics of your book and some of your ideas that you teach, could just share a little bit with our listeners about your athletic history and how your love for running led to your passion for teaching runners these principles that can help them reduce their risk of injury. Brad Beer: Yes, certainly Doctor Chris. As a junior athlete, my first love was triathlon. It was 1990 when here in Australia there was a domestic triathlon series that was broadcast on television. The series consisted of a bunch of short, fast races. It had the cream of the crop racers internationally and domestically. I remember watching it as a child and I was absolutely captivated Chris with these athletes. I fortunately took an interest in racing. Then I also had some degree of talent with endurance sport myself. So right from my school years Chris, if you ask me what I wanted to do, it was very one track focused. I want to become a professional triathlete. This was between 1990 and 1998. So the world of professional triathlon was really still quite amateurish at that time. But in my mind all I wanted to do was to race triathlon. I was competing in triathlon at a national junior level which was great. But in 1999 as a 19 year old I had a big bike crash and I had some heavy injuries, a subarachnoid brain hemorrhage, multiple fractures. Unbeknownst to me at that time there was a major defect in what we would both know as a trocheal groove in my knee. That was later manifested as I tried to get back on the bike and back to running with a lot of pain predominately in my left knee. Long story short Chris, I end up having surgery. Years later, as a physiotherapy student I had long ago have given away the dream of even running again due to the pain I was in. 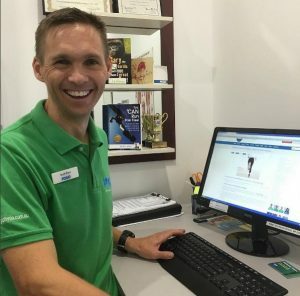 I thought that was beyond me and Chris, I laid down the triathlon dream and thought well the next best thing is to finish my physiotherapy studies and treat these athletes and still keep amongst it that way and so I started a physical therapy practice. I was looking for some quick fitness gains as I was working twelve hour days and establishing my practice. I thought, “I’ve got time for a quick run.” Happily I experienced no pain in my knee. Then, all the sudden Chris I though the next challenge is a marathon! I spent really the better part of the last eight years running, and sort of two years where I got back in the age group triathlon. I made it to the World Title in my age category but the last eight years have been predominantly running marathons domestically, Melbourne, the Gold Coast and New York in 2015 and half marathons and 10K’s and 5K’s. Dr. Segler: That’s great! I know it’s not easy to fit it all in and starting to practice. Getting a new sports physio practice going and maintaining a busy practice is a very difficult thing to do. To fit in all of your training to continue to even run is difficult, let alone do triathlon. It’s really impressive and I imagine it probably guides your approach with your clients. I know the education system is different over there…it is different than it is here in the States in many ways. Here in the States we have a great medical education system. It’s highly specialized. But because of that specialization, it has some severe limitations. For example I had 13 years of education after graduating high school. So I have an awful lot of training and experience in foot and ankle injuries. But the fact is is that I’m really just very highly trained as a technician in foot and ankle injuries for runners. And most doctors in the United States also have a singular area of focus. Because of the specialized focus on body parts, they often don’t generally consider, at least not in any significant depth the other parts of the body that are contributing to the problem. Many years ago I presented research at the Australasian Podiatry Council meeting in New Zealand. When I attended the lectures there it seemed to me that sports medicine physicians and podiatrists from Australia had a much more holistic approach in general than the typical American physician. I know that’s an overgeneralization, but that was my impression! But my suspicion is that when you see the same patient you might think something more along the lines of, “Why did this happen in the first place?” What do you do with one of those kind of runners who has had multiple occurring injuries with the same type of injury? Brad Beer: Yeah, Chris it’s a great question! I guess my approach to physiotherapy probably was seeded by my receiving of physiotherapy as an injured junior triathlete. As I look back now, I had a really outstanding physiotherapist treating my injuries. He really did seek to try and identify contributing factors for my injury and then tried to put the right things in place so I could get back to running. Since that time, I have obviously developed my own thoughts and thinking and pattern recognitions and things over the years as a clinician. But I think that the treatment I received as an injured athlete really did lay the foundation. Now, I guess I don’t know any other way to do my craft, physiotherapy, than to truly want to get the injured athlete back to a healthy athlete and help the client. 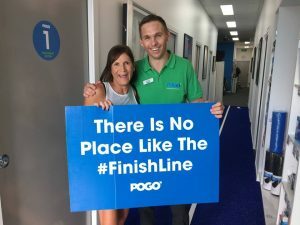 I try to help the patient take out insurance in the sense that we talk in our physio practice about helping clients “get finish line results.” Ninety nine percent of my clientele, my case load is people who want to get back to their physical best. In this context is back to running and injury free running. When we graph out the treatment thought process, we have diagnosis in the middle and then I like to think of it like we have a graph that we use for our clients. We’ve got pictures and circles around that central circles, each representing components of injuries. Within those circles, which are all different sizes, what those circles represent is contributory factors or cause and effects to the given injury. In the context of running, when I had my sat down just under two years ago to write what became “You Can Run Pain Free”, I really identified that at the heart of most level injuries, in case the repetitive metatarsal stress injuries, there’s really five key principles that I found consistent across the board. These 5 key factors affect the athlete’s running body, the runner’s body. If you think of it in summary is the kinetic chain that could create overload for the given area, in this case it’s the metatarsals. We know the impact of technique on running injuries. It is important to look at their footwear and then we talk about the importance of the kinetic chain and in particular the hips. We would both recognize and the listeners would recognize the importance of training volume and the training errors, such as “too much, too soon,” some increase in intensity and all those things. But we need to consider a framework of the five areas if I was looking at the given patient you mentioned there with recurring metatarsal stress injuries. Dr. Segler: It really is an entire approach that you have which is not just “Okay let’s fix that one problem.” The big difference I think is that you are not stuck on such a singular focus. Many doctors look at it as “Okay well let’s just do whatever we need to do to heal that injury…that one metatarsal” and if the stress fracture heals, it seems like the doctor believes the job is done. But that’s really not it at all. When I lectured to physicians on running injuries, I have this one slide about goals. I explain….“Okay every runner who comes into your office, has goals. The runner’s goal is usually attached to a specific race, or a specific number of race,s or specific time of in which they want to finish the race. But the injured runner is not in the doctor’s office not because their foot hurts. The injured runner is there because they have a goal and the foot pain is interfering with that goal. So the goal needs to be the primary consideration here.” I explain to the doctors, “You really have to evaluate the runner carefully and you have to figure out “Okay how are we going to get you better so you can run.” But then you, as a doctor, have to do something to address all of the problems that led to the injury. Of course Brad, like you just mentioned the doctor should consider running technique that certainly contributes to many running injuries. Everybody wants to run with great technique. There’s no question about that. But when I lecture at medical conferences about barefoot running biomechanics, its seems many physicians don’t even understand the basics of great technique. So given that obviously this could degenerate into an inherently complicated by mechanical discussion. Maybe could just simplify and summarize what great technique means to you. Brad Beer: Yes certainly Chris and I like what you said that you know, let’s simplify. I try an output for the general consumer, the general running public. I tend to write and conceptualize for the consumer as opposed to a colleague. I do find a real power in simplicity. 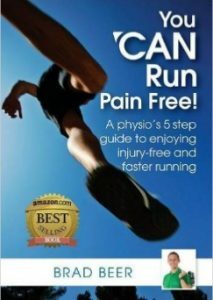 When I was writing the book, I thought about what I needed to include in the step in the “You Can Run Pain Free” book, the step being the second running with great technique. So I narrowed it down to five principles and I’ll share those but you could add more Chris, you could potentially take some away. But I really thought at least five hold true and clinically with my experience, we tweek these things to runners and greta technique results in great reductions in injury risk. There are many considerations….all of the strides, the concept of a runner’s cadence, step length, minimize bobbing up and down, limiting all that excessive vertical displacement. The third principle is optimizing foot strike placement which really does need to come third (and not first), and we can potentially come back to that, the importance of that. Optimizing the body position (fourth) and then fifth, utilizing the power of that natural springs in other words our tendinous structures. So theses are the five principles Chris. Dr. Segler: That’s interesting. Obviously you’re somebody who really understands running injury recovery, not only as a physio guru, but you were also able to return from this pretty horrific injury and get back to running and run pain free. So you can really can share some valuable information with everyone here, not just in terms of your knowledge but also in the way you developed your approach and the way you present it. What about the emotions athletes experience when they get injured? One thing that you probably went through after your bike crash, was emotional turmoil. You were basically working toward becoming a pro triathlete. But you had this terrible bike crash with significant injuries, which could be considered life changing injuries. Right? Like no question, that’s very difficult to cover from emotionally. It’s often very difficult for athletes to make these shifts. For example, I used to race motorcycles professionally many years ago. There was a guy I knew who crashed and became paralyzed from the waist down. It took him about five years to sell his motorcycles because he couldn’t let go of the idea that he would not be able to race again. I mean that’s an extreme example but when runners get injured and they go and they see a doctor and the doctor says, “Okay, you know you’re injured. You’re just not going to be able to do that race”. You’re not going to be able to run or something like that is very difficult for them psychologically and what do you do? And what is your basic approach in terms of dealing with the psychological issues that surround these injuries in elite runners. How do you approach these injured athletes? How do you help them work through the psychological challenges that most doctors don’t even seem want to talk about? Because the runner’s mental attitude contributes to their healing or their lack of healing. Brad Beer: Yeah Chris, it’s such a great insight isn’t it? I mean a bit like my approach to wanting to make sure we don’t leave any contributory factor un-addressed. I also want to make sure every injured runner truly knows that I know just how important it is all and that I understand where they’re at psychologically in processing the injury. Experience is a great teacher. I have no qualms in sharing my story when I went from a sort of aspiring, ambitious junior triathlete with some talent to all of the sudden not able to do a single leg squat because of a pain in my knee and all the other bits that I have from the injuries of the crash. I was clinically depressed as a 19 year old. It was the closest thing to suicide you could probably get and my identity was Brad the triathlete. I really couldn’t see a way forward. I was a completely different person. But as I went into my University years I can look back now and I can really see that when I wasn’t running, when I wasn’t able as able to be physically active and physically at my best, I was a fifty percent version of myself in terms of how I interacted with the world. And Chris when there’s a pause and the eyes start to glaze over and then the tears come, you know that you’ve actually cut through and connected. So then he went on to share that they just had a four-month old beautiful boy and he’s had some developmental problems and stayed in the hospital for four months and for a stress relief she just wants to get out and have a go for a run. So this is now really important to be able to do that. The other runner, loves to be active. She was also in tears. She’s a busy mom and she just wants that physical outlet. Whether it’s a recreational runner or an elite athlete, it’s the same underlying set of emotions. I find that it’s the frustration of being sidelined at not performing their physical best and it’s the fear of not being able to do what they love. So I think when you can connect at that root level and that they know that you know I have feeling you share, then it’s “off you go!” What you do from there is just putting that clinical knowledge into place and coaching them through the injury. But without that connection and emotional understanding, I would caution any therapist working in this space with anyone that’s looking to perform at that physical best. Dr. Segler: Yeah that’s really interesting. Because it does help to understand what the athlete is going through emotionally. I think the reason that so many runners call me for help is because I’m a runner. Injured runners know that I at least kind of have this basic understanding of why they may actually one to run in the first place. Understanding why runners want to run, is often lacking with many clinicians. But when you can actually share and connect on this real level about why running is so important, that you run either to relieve stress or to compete at some level, it really does make a big difference. It just drives them and increases their motivation when they know that they’re understood. It makes a big difference. Brad Beer: Yeah absolutely. Thanks for getting that. I feel good because you get it. I mean other people offer another professional advice and I don’t get it. They say things like “just don’t run” or have them consider a different sport. I just don’t get it. That’s what I often hear and so it really is great to be able to relate on your own personal experiences as well as your professional knowledge. Dr. Segler: That’s awesome, thanks for sharing that. One thing I also want to talk about was the Step Four of your process is to understand and appreciate the importance of hip stability. And it seems that you argue that hip stability doesn’t just contribute to injuries but it also contributes directly to success, efficiency and faster running as well. Can you help us understand a little bit about why hip stability is so important and tell us your favorite exercises for increasing hip stability to help runners run faster and stay injury free? Brad Beer: Yeah absolutely Chris and I guess I could in certain two categories. One would be the clinical research, the research and the other would be the practical clinical application. I think leaving the research aside which is a lot, and you can go and find great controlled studies. If we just talk on the practical clinical aspects, hip stability is critical. With every injured runner we’ll look at how they’re moving. We’ll get them up on the treadmill and have a look at what they’re doing and ideally aside from the side-on view when you get to look at their foot relative to their knee and these sorts of things and their foot positioning on impact. Looking from behind at what their hips are doing when around a run is really important. We need to understand what does the body do under full load at the point of impact. And typically what you find with athletes that have injuries (and even with athletes that don’t) is some degree of collapsing off the hips. The load will typically look like a dropping of the opposite hip to the one that’s taking the weight. We often see a shift to the midline of the thigh and a degree of hip internal rotation collapsing towards that midline. So those are the three movements that tend to happen when hip stability or strength is at a deficit. How that deficit in hip stability can manifest is an increase loading in general of the kinetic chain. So whether that’s the proximal hamstring tendon, or the gluteal medius tendon, or the patellar tendon, or the knee, or the Achilles tendon, or the metatarsal that we spoke about earlier, that whole kinetic chain is going to be receiving some degree of excessive load. If there is excessive load, there is going to be greater impulse which is as we both know that extra contact time with the ground as the runner goes over the stance phase of that leg. Hip stability is of great importance! Dr. Segler: That’s really interesting to me because I’m a podiatrist. And most of the podiatrists I know will tend to evaluate an injured runner and when they watch people walk, they look for the sort of gross dysfunctions. What I mean is they look for obvious things like asymmetrical arm swing, a shoulder that’s dropped way down. But not the subtleties that you’re talking about in terms of hip stability. Granted you can see the more subtle issues if you’re looking for them, but most physicians are not trained to look for those things simply because it’s not really their area of focus. But there’s something that can be done about it…at least, if these deficits are discovered! What do you think are the simplest exercises that can sort of resist the drop in rotation, collapsing of the hips that happens when you do have poor hip stability? Are there a couple that you really think are key? Brad Beer: Yeah Chris, I mean there’s a myriad alright, but exactly there are a couple that are key, no matter what level of running. If we were to objectively assess the runner and find there’s a deficit subjectively with hip active external rotation test or some digital dynamometry of abduction ratios. These sorts of things in combination with the video gait analysis, where they run and see what they’re doing on the dynamic load. I’d prescribe for the deep hip external rotators as a foundation of walk before you run type exercise than the active hip external rotations. Certainly I can provide links to these for your listeners. But quickly visualize for the listeners it’s lying off the edge of the bed usually a bed at home. Bottom leg, you’re lying on your side, you’re dropping it down and lifting it up and I like to get runners to one set of a hundred reps continuous on that before we end at resistance. And runners often look at me like a bit mad like “Hundred reps? Did I hear that right?” and I’m like “Yes, I mean like let’s say you take ninety single steps just to round that out on each leg every minute of your running and you go out run to sixty minutes”. You round that as five thousand four hundred times you’re asking these little muscle here that they make external rotators to hold your weight and they quickly get that connection. The external rotators are foundational for the gluteal medius and for the listeners, the muscles on the side of the hip. I like things like resisted crab band walks . I like side planks, the whole range of progressions there and then we’re talking about glute max. So I like everything from donkey kicks for activation through to high bench bridges through to sit to stands for the glute max. But when I prescribe these for runners, hip strengthening, hip control work, I’m always conscious of giving the runner whether it’s a recreational runner or the elite, national or international runner. Exercise is the greatest thing for the back. So I do find people can latch on to exercise because I have seen and I can feel it working but it’s a matter of is that the best one to give that particular runner the best result for the given input of time and effort. There’s certainly a lot of common ones I give out but then it’s a matter of individualizing what you can to really maximize their time spent on this stuff. Dr. Segler: That’s a good point because there are so many different exercises. I mean look at the stretches for the Achilles tendon. Right? We’re talking about one tendon and there are so many different stretches that you can do. But it depends upon what is really contributing to what’s really causing the problem and when you think about running injuries, people don’t come see you with just one injury. Like you said, it’s this whole range of contributing factors. I’ve personally had some issues with my gluteus medius. The cause of my glute issues may be different from someone who is getting a metatarsal stress fracture probably. Yet both could be related to poor hip stability. But the overload from that deficit gets translated down the chain differently and so it targets different structures and the actual injury lands on a different structure. It still can be the same root cause. I’m sure I’m going to get this question from runners who might ask,“Okay, I always get calf strain when I do hill repeats” so what exercise should I do? Well that depends on what’s really causing the problem. You can’t really tell what is causing the calf strain without a thorough assessment, right? Which is why you do these very lengthy 60 minute initial assessments with your clients. Correct? Brad Beer: Correct Dr. Chris, you got it. Dr. Segler: I appreciate you sharing some key exercises and I have to admit that when I heard you begin that discussion and say that you recommend that people get up to a hundred of these before they really run out their resistance, it seems like a regimen from the Russian hockey coach or something. But in the grand scheme of things, when we’re talking to a marathon runner, if 100 seems like a lot, we could consider “Well how many steps you take during a marathon? Does a hundred really seem like a lot to you?” So it seems kind of silly when you put it in those terms but it’s true. It’s just like we want everything to be fast and simple. I’ll do ten of these and do ten of those and then you’ll be good. But it takes a lot of work to really get a machine in marathon shape. Right? Brad Beer: Well yeah absolutely! I mean maybe they’re doing ten thousand steps in a race. It’s interesting we’re making a joke of that. It’s an interesting concept is that you really have to give enough to the athlete, to the runner to have a quick win so they can celebrate. They have to experience some degree of accomplishment and then you can load the greater challenges. I love that our work is really art more than science. I recently had a discussion around this idea with one of the Australia swim coaches here about what percentage of your work is science? And he’s coaching one of the hottest 100 meter freestylers in the world. He has coaching him been for a few years now. He’s answered, “Its 80% art” and I said, “You know what, in my work it’s very similar.” I’m sure you’re the same Chris. Now I think that’s the beauty of it. Its ongoing fascination with getting better with the craft. Right? Dr. Segler: It really is! I did tons of research when I was in med school and residency and I always sort of ascribed to that idea that it was really science. I used to think that if you read enough stuff and you measured enough stuff, then you could put everybody in these little baskets according to type of injury. If you categorize them, then you could just use the bets treatment for that group of injures. But it just doesn’t work that way. The longer in practice the more I realize how ludicrous that entire idea of a “standard of care” is because everybody’s an individual and everybody (even those with the same injury) has different biomechanics, they have different structures, they have different weaknesses, different strengths. It’s a trick to try to figure out where they lie on each one of the spectrum all at the same time. So it is fascinating and it is certainly a privilege to get to work with people and help them figure that out. But on the other end of the spectrum from really trying to work things to get them better is trying to rest them to get better. Of course, all of the athletes we are talking about are marathon runners and triathletes. They train a lot and they’re trying to put in a lot of volume and many times rest is the thing that gets taken away. Just sort of the idea that if you if you work hard enough, if you train enough then you’ll be fast enough on race day. I personally believe that rest is the most under-utilized resource available to runners. Could you just speak a little bit about step five in your process and the power of rest? Brad Beer: Oh Chris, I think you summed it up so well there. Rest is one of the most under-utilized resources. They’re train boosters and it really is the glue that holds the other four steps of the “You Can Run Pain Free!” process together. I have to confess in the last several years I had a couple of stress responses in my femur, two in fact. And when I look back at it, it was quite funny but no, seriously it’s given me a hard time about it. I think it was a beautiful example of what happens when you’re always trying to push. You mentioned earlier that it was great to get back to running. But the fascinating thing for me was that I actually got back to running as an adult. Time compressed that up faster than when I was a junior triathlete. I really can appreciate when you’re pushing for your physical best. As runners, we’re not all going to be first across the line in marathon. It’s this fine balance when we walk. We as age group recreational runners, we really need to take that on board as well. I don’t know if I answered that very well, but I guess I’m just sharing some insights around that. Dr. Segler: That’s fantastic! I mean that really sums it up with a number of runners that I see with injuries. When I look at them I think about it the way you mentioned. You added in this one run that became sort of more intense than it should be based on what you know is ideal for you. And if people then run on back-to-back days it would probably eliminate eighty-five percent of the patients that I see. People who get injured, they’re doing something wrong. It’s not just one run. It’s a pattern of accumulated lack of rest that leads to all these injuries. So they obviously have to address all the things that they can use to run faster and train harder like your book teaches. But then they also have to really rest and maximize their fitness to maximize the recovery. That’s where the games are made. The strength comes when you’re sleeping, it doesn’t come when you’re running. Brad Beer: I love that! The strength comes when you’re sleeping, that’s great Chris! I mean you think about tendons. The tendons need that 24-hour response window and so you know what percentage of the injuries that we see are tendons related to tendinopathies, etc. Imagine if every runner who runs back-to-back, what would happen if the injury proliferates. But this is the issue isn’t it? You can get the same stimulus from two runners. One is not injured, the other is. It’s learning about your body over the years, what it can do, what it needs to develop strength. I think it’s important that people to give themselves a level of grace if and when they do develop a running injury. Evaluate that experience, learn from it and I think the majority of time certainly in clients or runners that I treat, a training error exists. If you can crack the code on this, you’d have more patients than we ever have time to deal with. Dr. Segler: That’s right! Brad, thanks! It’s all been really helpful and I appreciate you sharing all of your insights today, and of course taking the time out of your schedule to arrange this call from halfway around the world. For those people that want to learn your techniques, get your book and hear your podcast, or get in touch with you, for athletes living in or traveling to Gold Coast of Australia, where can they find you if they need to work with you and your team in person. 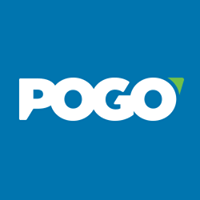 Brad Beer: Thanks a lot Chris, https://www.pogophysio.com.au/ is where you’ll find all the portals to schedule appointments or to connect with me or just search for me in Google, Brad Beer. 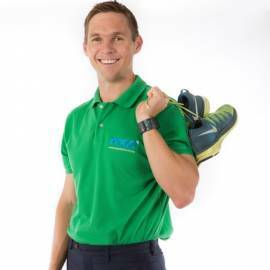 I have an active Facebook community which I try and share regularly around as generous as I can with answering people’s questions and pointing them in the right direction and even if they’re on the other side of the world so that’s the running.physio Facebook community and I’d certainly happy to take questions from anyone and add any value where I can. I also want to say, Chris thanks for the opportunity. It’s great to connect with like-minded health professionals that share a lot of the running and the benefits of running and these conversations are always so enjoyable. Dr. Segler: Thanks Brad, I really appreciate you coming on the show today. It’s really been great having you. Brad Beer: I think it’s important for listeners to know that Chris is recording this at 2 a.m. You’re a dedicated host Chris! Dr. Segler: Whatever it takes to get the greatest minds on the show! Alright Brad, thanks again for coming on the show! 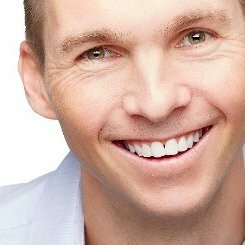 Brad Beer: Chris, my pleasure!